Are you losing sleep at night and feeling anxious as you wonder how you’ll ever get out from under your current debt load? Don’t worry – you’re not alone. 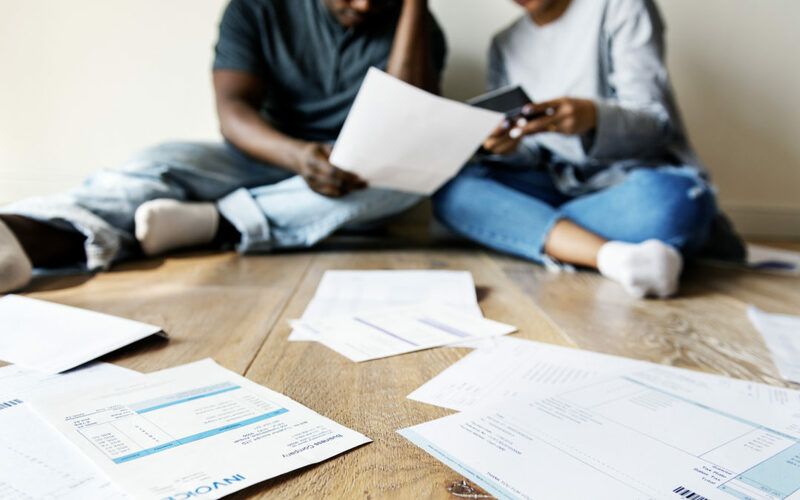 A survey conducted by Ipsos found that 50% of Albertans are not confident they would be able to cover their expenses in the next year without going further into debt. With consumer insolvencies increasing in Alberta by 14% in the second quarter of this year, we know many people are living pay cheque to pay cheque. That’s why we want to educate you about the real facts about debt in Alberta, and where to turn for help. With 43% of Albertans feeling overwhelmed by debt, and 37% noting their debt levels increased in this past year, almost one in two Albertans are in financial crisis. Debt is only one part, of the financial crisis – being overwhelmed by minimum payments and high interest rates means Albertans are less likely to save for their long-term goals, such as buying a home or retiring. For some people, long-term financial goals are not even on the horizon. According to a national study by the Canadian Payroll Association, 44% of Albertans are living pay cheque to pay cheque, and 38% spend all of, or more than, their net pay. Rising debt levels are going to be compounded by the fact that the Bank of Canada’s key interest rates will increase at least one more time before the end of 2018. Costlier lending could cause more Albertans to feel the pinch of their wallets. Aside from the anxiety caused by living pay cheque to pay cheque, 72% of Albertans have saved only a quarter, or less, of the money they will need to retire. Of that 72%, 37% predict they will have to work longer than they planned to be able to retire. These statistics are certainly sobering, but here are a few tips that can help. Pay off your most expensive debts first. If you have funds to to put towards debt, choose the debt with the highest interest rate and focus on that, rather than chipping away at multiple credit card or loan debts. Make minimum payments against the remaining cards or loans until the most expensive debt is paid off. Once that is done, take the money you put towards the most expensive debt and apply it to the next most expensive debt or loan. Consider downsizing. Are you a two or three car household? Monthly finance or lease payments, insurance and gas can all add up. Consider downsizing to become a single car household and enjoy a few hundred dollars a month to put in your pocket (or use it to tackle other outstanding debt). Stop using your credit cards. Whether you simply remove them from your wallet and place them in a drawer, or freeze them into blocks of ice, stop using your credit cards. Paying for purchases with cash will not only help control your spending, but it’ll help you think twice before making a non-necessity purchase. Trim your expenses. If you do not have one already, start a budget. Using a service like Mint or a good, old-fashioned spreadsheet, are two easy ways to track your expenses. Once you follow your spending habits for a few weeks, you’ll be able to see where you can cut down. Maybe you pack a lunch instead of buy one, or buy clothes every few months instead of each cheque. If you’ve tried these suggestions and still feel overwhelmed by your current debts, we want to help you. Give us a call. We are here to help guide you to a solution that works for you, your family, and your creditors so you can rest easy each night.